When Mondo we Langa died at age 68 in the Nebraska State Penitentiary last month, he’d served 45 years for a crime he always maintained he did not commit. The former David Rice, a poet and artist, was found guilty, along with fellow Black Panther Ed Poindexter, in the 1970 suitcase bomb murder of Omaha police officer Larry Minard. With his reputed accomplice now gone, Poindexter remains in prison, still asserting his own innocence. Poindexter and we Langa have been portrayed by sympathetic attorneys, social justice watchdogs and journalists as wrongfully convicted victims framed by overzealous officials. The argument goes the two were found guilty by a nearly all-white jury and a stacked criminal justice system for their militant black nationalist affiliations and inflammatory words rather than hard evidence against them. Supporters call them the Omaha Two in reference to a supposed population of American political prisoners incarcerated for their beliefs. The crucial witness against the pair, Duane Peak, is the linchpin in the case. His testimony implicated them despite his contradictory statements. we Landa and Poindexter dispute his assertions. Today, Peak lives under an assumed name in a different state. Two writers with Omaha ties who’ve trained a sharp eye on the case are Elena Carter and Michael Richardson. Carter, an Iowa University creative writing graduate student, spent months researching and writing her in-depth February article for BuzzFeed. She laid out the convoluted evidentiary trail that went cold decades ago, though subsequent discoveries cast doubt on the official record of events. Just not enough to compel a judge to order a new trial. Richardson has written extensively on the case since 2007 for various online sites, including Examiner.com. He lives in Belize, Central America. Both writers have immersed themselves in trial transcripts and related materials. They visited we Langa and Poindexter in prison. Their research has taken them to various witnesses, experts and advocates. For Carter, it’s a legacy project. Her father, Earl Sandy Carter, was with the VISTA federal anti-poverty program (now part of AmeriCorps) here in the early 1970s. Richardson, a fellow VISTA worker in Omaha, says he “came of age politically and socially,” much as Carter did, during all the fervor of civil rights and anti-war counterculture. Ironically, they did things like free food programs in the black community closely resembling what the Panthers did; only as whites they largely escaped the harassment and suspicion of their grassroots black counterparts. Earl Sandy Carter edited a newsletter, Down on the Ground, to which we Langa and Poindexter contributed. Richardson knew we Langa from Omaha City Council meetings they attended. With their shared liberal leanings, Richardson and Carter teamed to cover the trial as citizen journalists, co-writing a piece published in the Omaha Star. Elena Carter grew up unaware of the case. Then her father mentioned it as possible subject matter for her to explore. Intrigued to retrace his activism amid tragic events he reported on, she took the bait. That sense of responsibility increased upon meeting we Langa and Poindexter on separate prison visits. They were no longer abstractions, symbols or martyrs but real people grown old behind bars. “It was a lot more pressure than I usually feel while writing, but also a really great privilege for them to trust me to write about them,” she says. Richardson, who applied for Conscientious Objector status during the Vietnam War, never forgot the case. Ten years ago he began reexamining it. Hundreds of articles have followed. “The more I learned, the more I doubted the official version of the case,” he says. “I reached the conclusion the men were innocent after about a year of my research. It was the testimony of forensic audiologist Tom Owen that Duane Peak did not make the 911 call (that drew Officer Minard to a vacant house where the bomb detonated) that made me understand there had been false testimony at the trial. My belief in their innocence has only grown over the years as I learned more about the case. There are as many conspiracy theories about the case as folks making it a cause. Everyone has a scapegoat and boogeyman. Richardson and Carter don’t agree on everything but they do agree the men did not receive a fair trial due to mishandled, concealed, even planted evidence. They point to inconsistent testimony from key witnesses. They see patterns of systemic, targeted prejudice against the Panthers that created an environment for police and prosecutorial misconduct. The murder of a white cop who was a husband and father and the conviction of two black men who used militant language resonates with recent incidents that sparked the Black Lives Matter movement. Considerable legal and social justice resources have been brought to bear on the case in an effort to have it reopened and retried. 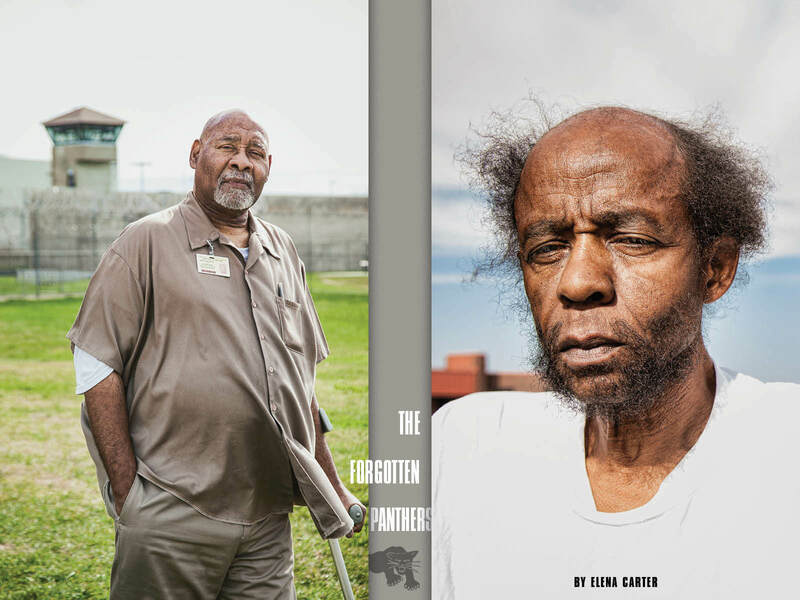 As Elena Carter wrote, “we Langa and Poindexter’s case has penetrated every level of the criminal justice system, from local officials to former governors to the FBI to the Supreme Court.” Yet, we Langa languished in prison and died there. Carter reported we Langa’s best chance for a new trial came in 1974, “when he filed an appeal in federal district court, arguing the dynamite and blasting caps recovered from his home during a police search for Duane Peak should never have been received in evidence” because the officers who entered his home “had no probable cause Duane was there.” Contravening and contradictory court rulings affecting that decision have apparently had a chilling effect on any judge taking the case on. She and Richardson surmise no judicial official in this conservative state wants to overturn or commute a convicted cop killer’s sentence. “Sadly, when you talk to people about a dead policeman and Black Panthers, the conversation sort of stops,” Richardson says. She and Richardson believe the fact the Omaha Panthers were not prominent in the party nationally has kept their case low profile. The Washington Post did report on it decades ago and Carter says, “I feel like that’s the only time a serious national publication had put it out there they could be innocent.” Until her story. A documentary examined the case. Noted attorney Lennox Hinds has been involved in the defense effort. Locally, Ben Gray made the case a frequent topic on KETV’s Kaleidoscope. Other local champions have included State Sen. Ernie Chambers. Then-Gov. Bob Kerrey was prepared to pardon we Langa, but the prisoner refused on the grounds it would be an admission of guilt. Nebraskans for Peace and others keep the case before officials. “I would say the Omaha Two case shows the critical need for the news media to monitor the police and courts,” says Richardson. Most observers speculate nothing will change unless or until someone comes forward with dramatic new evidence. Carter hopes “something more could be done for Ed (Poindexter) at this point.” Barring action by the Nebraska Board of Pardons or Gov. Pete Ricketts, the 71-year-old inmate likely faces the same fate as his late friend given the history of denied appeals attending the case.